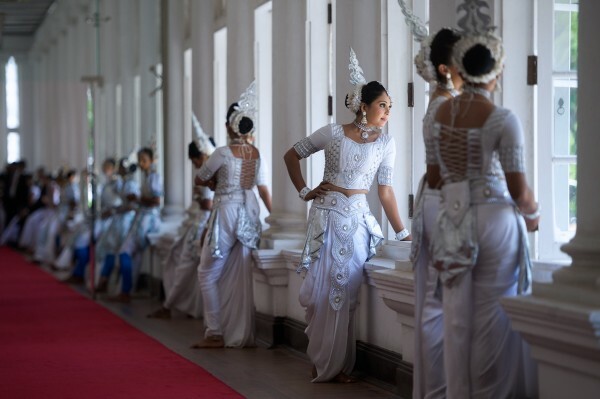 A lovely couple of pictures of girls in traditional costume awaiting the arrival of US Secretary of State John Kerry in Kandy during his visit to Sri Lanka last weekend. Ambiance almost as much Bolshoi as Kandy . . .